SnooCODE is an addressing system built in Africa for the developing world , which provides private and unique addresses for individuals and businesses that will supercharge logistics, commerce, postal services, emergency response and governance in supply chains. SnooCODE was designed from the ground up to work independent of the network infrastructure (even in phones witout sim-cards). This has implications for people in rural areas, urban dwellers on low incomes who can’t afford internet and mission critical functions like the police and ambulance which can’t afford to deal with network outages or lack of internet access etc. They need a system that works 100% of the time without fail. We do all this with accuracies down to 25cm and beyond. This has revolutionary implications for everything from sanitation, public health to postal services and other public services and e-commerce. A SnooCODE is essentially a 6 or 7-digit alphanumeric geolocation code that acts like a UK post code or a US Zip Code, except over 200 times more precise. It can be used to provide directions to any location and is accurate to within less than 25cm. We've spent a lot of time learning the missing parts required for building a successful addressing system by living and working in Africa, while not making any of the usual compromises. Governments need an addressing system that is socially inclusive. With SnooCODE, all people need to know is the ABCs and 123s. Public organisations and businesses require tools to manage deliveries efficiently and cheaply on mobile phones, without relying on the network infrastructure or huge computational power. Trust is a big trust issue in the developing world, so we developed a robust way of verifying transactions in supply chains even without network infrastructure. Technologies like drones are more valuable in Africa today for surveying territorial waters, agricultural inspections, cell site surveys, news coverage, etc. Consequently, SnooCODE has been integrated safely into drones. It leverages on the drones development kit and the SnooCODE addressing system for location information (accuracy of less than 25cm). SnooCODE was launched in 2011 to enable every man, woman and child in the developing world to have a definitive address. tinyDAVID Founder, Sesinam “Ses” Dagadu, noticed the impact Ghana’s poor addressing system had on the country whilst working for a local bank in 2007. Struggling to navigate the capital city of Accra, he saw a gap in the market that needed to be filled. Returning to the UK to complete his MEng Engineering with Business Management degree, Ses started working on the solution to a problem that affects most of the third world countries. Team SnooCODE continues to find innovative ways to enhance lives and increase productivity in the developing world by building adds-on to its simple yet robust addressing system. 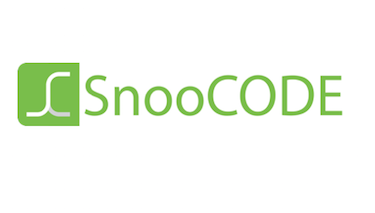 The following are example of projects that have been developed with the integration of SnooCODE, designed for distinct purposes. SnooCODE is the answer to the lack of addresses in huge swathes of the developing world. A SnooCODE is a private and unique location code, allowing quick and accurate address saving, sharing and navigating. A mobile application designed specifically for drones, allowing users to obtain aerial shots (images and videos) using a drone. The application makes use of SnooCODE to specify the intended location. An e-commerce app designed to allow you to be in the comfort of your home, order Philips bulbs, and have them delivered to your doorstep. SnooCODE is an integral part of the Philips LED app, intending to simplify the process of specifying addresses, to assist those who may not know the address to their desired location as well as eliminate the provision of vague addresses. SnooCODE RED is an application of SnooCODE specially designed for the Ghana National Ambulance Service (GNAS), in collaboration with the Vodafone Ghana Foundation. The SnooCODE RED app is used to accurately locate victims in emergency situations, significantly cutting down ambulance response times.